When Weisman’s Sled Stars teammates show up at ice hockey practice each week, they may be entering the arena on wheelchairs or with crutches. They may have a visible limp while walking. They may need help getting to the ice. But once these kids are strapped into sleds with hockey sticks in hand? There’s no stopping them. Playing ice hockey may not be the first thing a child with spina bifida or cerebral palsy considers, but thanks to teams such as Sled Stars, it’s in the realm of possibility. According to USA Hockey, sled hockey was founded in Sweden in the 1960s by a group of individuals with physical disabilities who wanted to play ice hockey. The sport, which is rapidly gaining popularity in the United States, equips players with specially-designed sleds sitting atop ice hockey skate blades. Sled Stars calls Hollydell Ice Arena home, but since the Washington Township facility has undergone renovations this year, the team is temporarily practicing and hosting home games on Saturday evenings at the Flyers Skate Zone in Atlantic City. Sled Stars — which is now sponsored and funded by Weisman Children’s Rehabilitation Hospital — was founded in the early 2000s by Kathy and Keith Shelton. At the time, the team played at an ice arena in Vineland before moving to Washington Township. Olsen got involved when his son, Jacob, who has spina bifida, was 4 years old. “It was actually a fluke. It was a friend of ours who invited us to come out to a Spina Bifida Ice Skate Social at Hollydell. It sounded like fun,” Olsen said. Sled Stars was at the event. They strapped Jacob into a sled and, an hour and a half later, Olsen couldn’t get him off the ice. “He loved it,” Olsen said. The duo started going to practices and, once Jacob turned 5, he was officially part of the team and played in games. Olsen started by volunteering, and when the coach had to step down for personal reasons, Olsen stepped up. This is his third full season coaching, and for Jacob, who turns 9 in March, it’s his fourth season on the ice. The Sled Stars season starts in September and ends in March. The team then takes part in an end-of-year tournament in Massachusetts in April. Typically, the team gets together once a week, whether it’s for a game or practice. 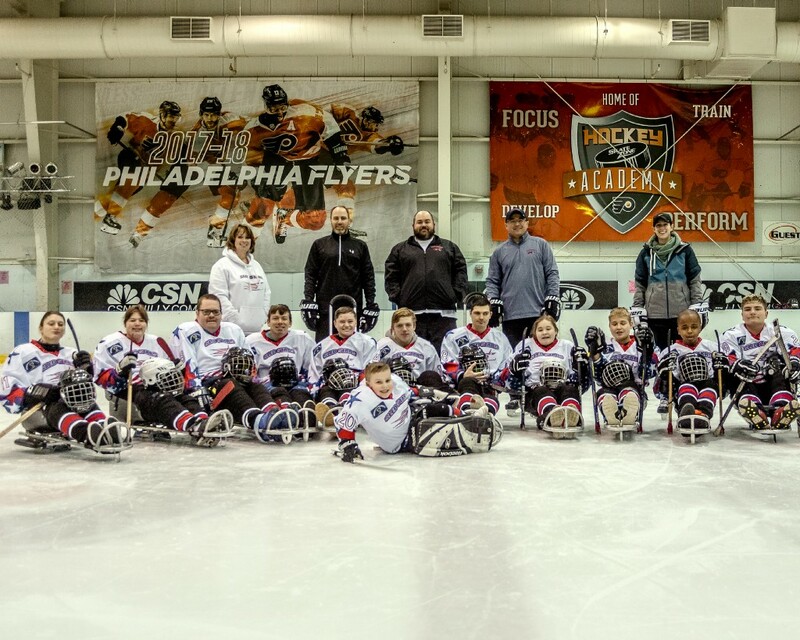 The team takes on competition from throughout the region and Pennsylvania, including against groups from Voorhees, Woodbridge, Northeast Philadelphia, and Hershey and Palmyra, Pa.
“This is one of the heavily populated areas for sled hockey. There’s a lot of teams here, which is good for us. You’re not playing the same kids over and over again,” Olsen said. Sled Stars allows three able-bodied kids age 14 and younger on the ice. Teammates are also able to have assistance from someone pushing their sled when needed. “Right now my able bodies are filled up. Basically they’re roster fillers. They fill roster spots and help with the kids, that kind of deal. I’ve been blessed to have some really amazing ones,” Olsen said, adding his current trio of able-bodied players are friends of a former teammate. As a youth league, most teammates — who hail from Williamstown, Harrison Township, Mantua, Vineland, Washington Township and beyond — range in age from 5 to 18, however Olsen said with a waiver, there are young adults who continue playing. Olsen said these layers beyond the hockey itself — the physical and social aspects — are a huge part of the program. “So many of these kids have disabilities where they’re not active. This gets them up and gets them moving,” Olsen said. Players often develop tremendous upper body and core strength in comparison to where they are before joining the sled hockey team. They also blossom socially. Olsen wants to see his team grow, and that includes with volunteers. The coach attributes this year’s lack of volunteers to the temporary Atlantic City location change, and he said it has been a struggle. “We need volunteers. I’ll take any I can get,” he said. Until this year, Sled Stars has been a pay-to-play organization, coming with an annual price tag of about $1,200 per season. This cost, understandably, kept some kids from joining. When Weisman Children’s came on board this year, Olsen was able to eliminate this cost. 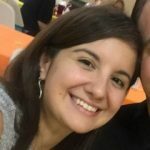 Half of the money comes directly through Weisman Children’s, and the other half comes through the nonprofit New Jersey Pediatric Patients’ Charitable Trust Fund. There is a guaranteed sponsorship for the next three years, and the hospital is also partnering in other ways, such as sending physical therapists to practices to work with the team and inviting Olsen to teach Weisman staff about Sled Stars. The sponsorship, according to Olsen, has been incredible. His next mission is to secure funding, whether through another sponsorship or fundraising, for new equipment so he can get his players into modernized sleds. Olsen hopes eliminating the price tag for Sled Stars will give more kids and teenagers the chance to join the team. He encourages anyone who wants to learn more to get on a sled and come out to a practice. To to inquire about becoming part of the team or volunteering or to learn more about sponsorship opportunities, email Olsen at brian@sledstars.org. Visit Sled Stars online at www.sledstars.org and on Facebook at www.facebook.com/SledStars.